Good morning and thanks a lots. After finishing my 13 Herb bath,i fell that the THIRTEEN HERB BATH, 13 DAY SUPPLY the big bag with all the 13 baths is more powerfull than the little bag one day supply,it's just my point of view based on my experience this time cause it's not the first time i use the 13 herb bath. 1. Is it compulsory to walk through two white burning candle after taking the 13-Herb bath? 2. Is it compulsory to dispose off the water at the crossroad after taking the 13-Herb Bath? Not only that, depending on the nature of one's intention for the bath, it might not be typical to dispose of the water at a crossroads, but rather round one's home property perimeter. whats the closest to this bath for one day? I just started my 13 herb bath ritual today! I love it Very nice and powerful. I plan on doing this for 13 days in a row. I wanted to know whether it was okay for me to anoint myself, directly after each bath, with my daily oil blends that I have pre-mixed into my moisturizers and other body products... Or is it more advisable for me to finish the entire course of 13 baths before I can start using my oils again. You can anoint yourself as usual funnypupster. Hello! I was just hoping for a quick opinion. I did a whole series of a 13 herb bath followed by a cut and clear and felt good about it. Then, a few hours later, my boss called me on the first day of my vacation and layed me off, no word, no warning and really wouldn't give me a reason. With all the negativity I'm trying to cut out of my life, this on top of it is a real blow. Did I do something wrong?? Could I have possibly made it worse by bathing wrong? I followed the directions, poured down, prayed, tossed bath water after each bath into the crossroads to the east. I felt good, but now I have no job. Has anyone had something like this happen to them after an intense 13 herb bathing? Just wondering if I did something wrong and how to fix it. Thanks! To get an answer to this question, you should get a reading. There are two options, identify a reader at AIRR (http://readersandrootworkers.org) or sign on to http://hoodoopsychics.com/ and select one. Ok, I will definitely have to look into a ten minute reading. Just wondering if anyone else had experienced a similar phenomenon. A "paring down" after a bath. Just a thought off the top of my head, maybe the job had to go for a new and better job for you? If you're like me, you won't willingly leave a situation you are comfortable in no matter how much potential you have for something better. Maybe this is exactly what was supposed to happen when you removed the negative stuff from your life with the bath. I don't think you can do a 13 herb bath wrong. You can done more correctly and get better results by following the instructions, but you can't do it in such a way that something "bad" happens. At least, in my opinion, but maybe someone knows better. I would definitely get a reading though to find out what's going on for sure. Good luck and don't worry...everything happens for a reason! I agree with Ruth, COMPLETELY. BUT I am wondering if something bad would have happened at work and the spiritual cleansing saved Jules 6186? Oh, that's a very interesting thought! Definitely a possibility. I love 13 herb baths. I use them for housecleaning as well. I put some in a little spray bottle and add a splash of Florida Water to dust my house with. I just got my 13, 7 and 9 herb baths today! I am extremely excited but I won't start the bath today as I am on my period and I am going to wait for it to stop. I also will buy some tea candles, however I DO NOT have any oils or anything for protection besides the baths. Is that ok? Also, I am still a little bit confused on certain things. I work from 3PM-11PM 5 days a week. I can do the baths when I get home like around 12AM right and then wake up like around 6AM to throw it at the crossroads? Does it matter which direction I throw the water to as long as my intentions are good and I say my prayer? You don't need any protection oil to do the work, it's an added bonus if you do, but just the 13-herb bath will clear things up fine. Then you'll be bringing in what you desire with the 7 or 9-herb baths. Now my little situation is that my father wakes up like around 5am to take a shower to go to work. I am going to dispose the water at the crossroads, I feel like the baths are easy to do except for the timing honestly because I live with other people that work in the morning. Also having to explain to my mother why I am leaving the house at 6am . I am going to say I am going jogging which shes going to be like but thats the best I can come up with really. Now I have to hope that there is no one around when I throw the bath water but I mean I'll make sure to wear a hoodie, throw it and just walk as fast as possible. Now the other good thing is that I downloaded a compass so that I can know where to throw the water which is to the East correct? Oh by the way I SMELLED the leaves, it smells WONDERFUL I AM IN LOVE WITH THE SCENT. One last question, if I take the bath at 4am and I have to go to work at 3PM can I take a regular shower and it won't take away the effect of the bath? So glad that you love the bath! I do too! LOVE the smell also!! I like to keep the protection powers on me for as long as I can. This is going to be plan I decided I will start the baths tomorrow. I don't have the candles yet though. I will steep the leaves after I take a shower at 12AM. Then, I will leave the mix in a basin in my room, get up at 3:30AM-4AM to do the bath. I will air dry, get to bed. Then wake up at 6AM to throw the water at the crossroads, since the sunrise is at 6:16AM. Do I have to stand up in the middle of the crossroads? Anyways this is my plan. The timing is good right? I have to tweak it because like I said there is people in my home that work and take showers around 4AM-5AM to leave to work so I can't occupy the bathroom around that time. Also are the candles really needed? The throwing of the water is exactly at sunrise or it can be minutes before? Thank you. Sorry for the questions but I need clarification because I am doing this and there is no backing out. I did the the bath today on 4/17/14, I was unable to do it on the 16th. I couldn't recite psalm 37 13x because my dad was rushing me to get out of the shower because he had to go to work. I said it ONCE but my intentions were powerful and firmed. After I finished saying the psalm, I poured it over my face and from the neck down 13 times, and collected some of it in a cup. I went outside like around 5:40AM and threw it at a crossroads towards the east that is near my building complex...it was PRETTY EASY. I couldn't do it over the shoulders so I threw the water forward and kept walking without hesitating. YES there were one or two people around but I waited for them to leave took the cup and threw it...plus it was STILL DARK. I had a coffee cup so they could had just thought I was throwing that out. I think people put way too much thought into it...it was simple to me except for the doing the bath part due to my parents rushing me out. But I swear, other than that once I move out on my own I will be doing this with no second thoughts. To whoever said that you couldn't smell anything, in my opinion the smell while is boiling is VERY STRONG but it just smells like tea though. I am really hoping my mom won't catch me steeping the herbs late at night like I do, I rarely have any privacy which drives me insane. 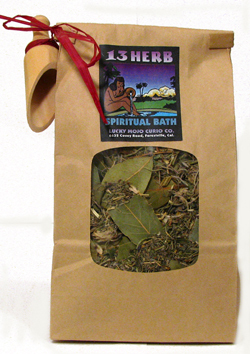 I am going to use affirmations: I am going to complete the 13 herb bath with no problem. In case sometimes I can't go to the crossroads, I'll just do the bath and use the prayers without disposing it. I'm glad that you're enjoying your baths. But, I don't recommend altering the procedure that Miss cat has defined. Everything that she has told us to do is for a specific reason. You'll get results by the way that your are doing this, but not optimum results. I use the candles, say the prayers, dispose of it properly, etc. And if you did the same, you would be THRILLED (as opposed to be just happy) with the results. I understand but unfortunately I live with my parents and I can't say the prayer 13 times it will take too long. I live with 3 other people who work in the AM exactly before sunrise they have to use the shower. If I had lived on my own I would follow the directions to the T but my circumstances right now won't let me, I am starting to feel a little bit different though in a good way. I have been doing it before sunrise, I do go to the crossroads when I can but I don't have the time or privacy to recite the psalm 13x times. I also do throw the water to the east like is stated in this thread. I appreciate your input and everyone else's, I am doing the best that I can to at least complete the baths, and so far I am loving it, I feel like I am a new person so far. Thanks. I am on day #3 I am going to do the bath now . I like your enthusiasm and perseverance, NewBeginnings2014! With every bath you are also strongly showing the intention to be in your own place, with added privacy. I really don't know where to start, but I have to admit, I'm kind of over everything right now. As I posted in another thread I started, magical work has been done against me that has ruined my life for more than 15 years. And to add to it, someone else did work on me starting last year. That one is worse than the first, because it allows good things to come to me, but then kills them at the last minute. Between both of them, they have rendered me at times broke, homeless, in abusive relationships, etc. I have 2 issues going on right now. The first (a relationship issue) I was able to get a reading on and was told that I can have the person back after I move some other people out of the way with certain spells, which I did the work on and disposed of the remains. I am now doing the red candle skull spell that starinthesky7 posted (I'm on Day 4). The other (concerning the work done against me) I can't get a reading about for a few weeks, but have received some advice on the forum about it and just started the 13 herb bath last night. Today, I feel... DRAINED. I actually texted my target today when I have been really good about leaving him alone and just doing the work. I was wondering if I actually want him (I do, that's why this is a concern for me) and to continue doing the work that pertains to him. I've gone out of my way to do all the work for what I want and need while being of really good and happy mind about it, so this behavior is really not like me. No, I don't have any medical issues causing me to feel this way. I just want to know if this is something that can happen with uncrossing. I know it will take time, especially since I've been messed with for years. After the hyssop baths I didn't feel like this. Posting to add that last night I bought an Uncrossing Vigil Candle to be done by MISC for me. You had mentioned that after the hyssop baths you didn't feel like this. Perhaps you should return to a practice of hyssop baths. You have mentioned that you have been doing various angles of work on these issues, do you perhaps feel that you have in any way crossed a line regarding whether the work is justified and perhaps been "tainted" by sin? I only ask, because hyssop is such a lovely plant to work with when we want to rid ourselves of that energy...and if you have been successful with it in the past, perhaps it is time to revisit it..? Thank you for your response, Christian. Again this morning I felt the same way. I am wondering if it's not really being drained, but the ick that was put on me just leaving me? I don't feel bad, just drained. It doesn't last all day really, but boy do I feel it in the morning! I do feel much better (well, not drained) with the hyssop baths, but I was told that hyssop wouldn't rid me of work being done on or to me, it's more for cleansing of sin I have done myself. So if I have to continue the 13 herb bath, I will because the work done on me is a much bigger issue that's dragged on for far too long and as I said above, ruins almost everything I touch. I need it gone and over. I am going to keep the hyssop bath in my rotation, though. If I can ask, do you have a protection practice. i.e.) besides uncrossing, do you do any "active" protective work? I would think the drained feeling would be the fact the negative energy is leaving you. And as with all things we can feel tired as we begin to recover. Especially as you're not feeling bad I would say that this would be more likely. When we do work on others they often withdraw as the work starts to touch them and affect them, so this is probably happening here as well. The work is kicking in to cleanse and so your energy is being directed to look after yourself. I would HIGHLY urge you to see a Physician as soon as possible. We don't want to ignore the possibility that it may be a medical problem. Your health is of the most importance. And we don't ever negate this possibility. And I would recommend that you cease the bathing until you are medically cleared. @Christian Hanson No, I am not doing anything protective right now for two reasons: I am cleansing and I have to wait for the items that I am following up with to arrive (some are for cleansing, some are for protection). Fighting this in a way that is making a real difference is quite new. I am amassing quite an arsenal and this will not be happening again. @Shantilly Lace Thank you so much for offering some clarity to what's going on with me. 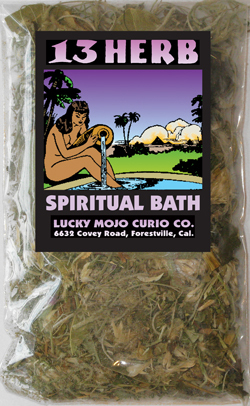 First of all i wanna give thanks to luckymojo for their wonderfull baths,in the bigining of this year 2014 i use 13 Herb bath and love bath,after this i have a new wife and things work very well between us,now we living togheter and she love my magical practice,so i wanna know if we can take 13 herb bath togheter. I wanna do 13 Herb bath for 3 days,the day one start with an uncrossing glass vigil candle set at the Missionary independent spiritual church,after each bath i'm gonna anointed myself with the uncrossing oil.When i gonna finish all the 3 days bath i gonna start with a 3 days blockbuster bath. I think that is a great idea! Many people do regular spiritual cleaning as a kind of maintenance. I personally like to do something every full moon to keep my self spiritually clean. I am a massage therapist so in my work I touch a lot of people and like to just make sure I am do not picking anything up off my clients. Every three months sounds like a nice routine as well and the Thirteen Herb Bath (http://www.herb-magic.com/13herb-bath-one.html) is wonderful! You can also, as the link says, use the 37th Psalm with this bath as well ! Let us know if you have any other questions! Maintenance,yes it's the good word for this,so let me know how many uncrossing glass vigil candle set at the Missionary independent spiritual church i gonna need for a 3 days bath like that ? Well, that is up to you. You could have one lit at the beginning of your work to stay going for the entire duration, or you can get a run of three candles to traditionally keep the work going even after the actual baths have finished. That way it is burning strong by the time you are starting your bathing and it will most likely burn for one good solid day after you have finished your bathing. Kind of like it is sealing the effect of the bath in. Let us know how you think this goes for you! 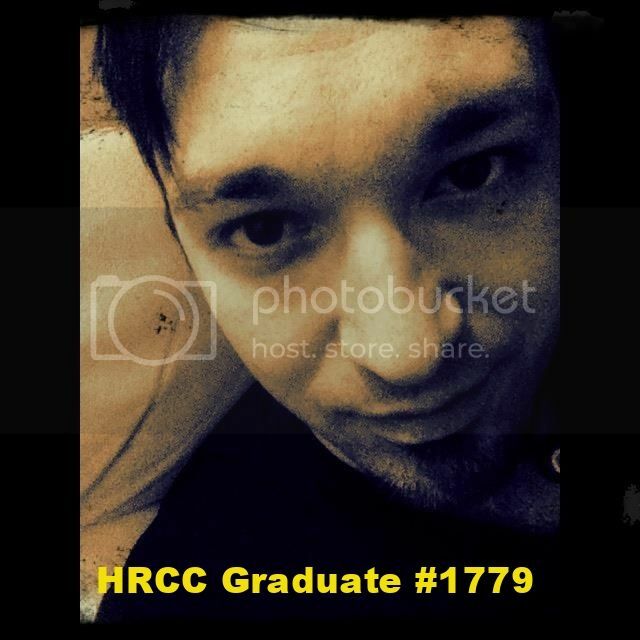 Thanks a lots natstein,i gonna do it like that and gonna come back here for the feedback. 1. How much do I use do I do one scoopful of the Lil scooper. Yes, you use one scoopful everyday. You light candles everyday and you take it to the crossroads everyday. Yes, pour over your head 13 times each day (unless you have a bathtub, then you immerse your head I it 13 times). If you have anymore questions, let us know. Well I think I have completed the work for the Hot Footing on my neighbors and I was going to take another 13Herb spiritual bath and start to work on my Come To Me spell kit and I read that it suggests for me to take a bath in the Come To Me bath crystals to open the doors and I wanted to ask this forum if it would be alright if I can take the 13 Herb Spiritual Bath with the Come To Me Bath Crystals at the same time. In the meantime I have just been taking showers using the Uncrossing soap. So if anyone could please let me know I would like to start my work by tommorrow to take advantage of the waxing moon. 13 herb bath and Come to Me bath crystals have very different purposes and it wouldn't be advised to mix them in this particular case. Take the 13 herb bath first and then the CTM. Alright aura, Thank You So Much! Does the 13 day bath have 13 herbs? I did the 13 herb bath and followed up with a protection bath. I felt really really drained, somewhat weak and my eyes got a little blurry. It just felt like my strength left me. Is that suppose to happen? Why is this? I don't feel like that right now i feel like all the negativity and weight left me, I feel good. My mind is clear too. When you did the 13 day Uncrossing bath, did you light a Vigil to bring in something? Such as blessings, good luck, etc? When you do a bath like that, you are removing something and that something has to be replaced in order to not create a void. I would suggest doing it over with a vigil. I had a white 7 day candle burning when I did it. Ill start by saying as someone who's done the 13 herb bath ritual its amazing, and a pain. I think of broad spectrum antibiotics, its like tossing everything at your issue and hoping something sticks, this ritual is not for basic everyday work. Its very time consuming, reading psalms 37 fully takes about 3 min each time, total of 39min, then steep the herbs for 13 min, bathe, its easily an hour a day. Sometime people cry during the ritual, I know my throat tends to dry up about 4 psalms in. This is also one of the most cost effective ways to be rid of it all. Make sure you dont drink any of the water, while I dont think there any harmful herbs, it clearly is not intended for drinking. Basic instructions for the bath come with the package, these should be combined with the information available in this thread and the page on baths here: http://www.luckymojo.com/baths.html to give you a complete picture. Also decide ahead of time how many days you'll be doing the bath. Very stuck, old and nasty conditions can go as long as 13 days of work while if you're in relatively good spiritual shape, a single bath, or three days of work, is usually more than sufficient. I just wanted to ask if the 13 Herb bath takes on the same affects as the Uncrossing Spell kit? because I already have the large 13 Herb Spiritual bath and I am waiting for the Uncrossing Spell Kit to arrive so I can increase my odds at winning the lottery or Bingo so I can get enough money to leave the abusive home that I live in now. thank you so much aura for your reply to my question. And sorry if I'm not replying the rite way do know how to use this. But agine thank u. You are cleansing your body with the bath. But the uncrossing kit cleanses everything around you.